The time has come for that bonefish trip. We’ve lined up three of the best bonefish lodges in the Bahamas – The Delphi Club, Abaco Lodge, and Bair’s Lodge – for hosted trips and exclusive bookings during the 2018 season. Fishing dates start in February and run through June, and you have the option to travel with or without a host. 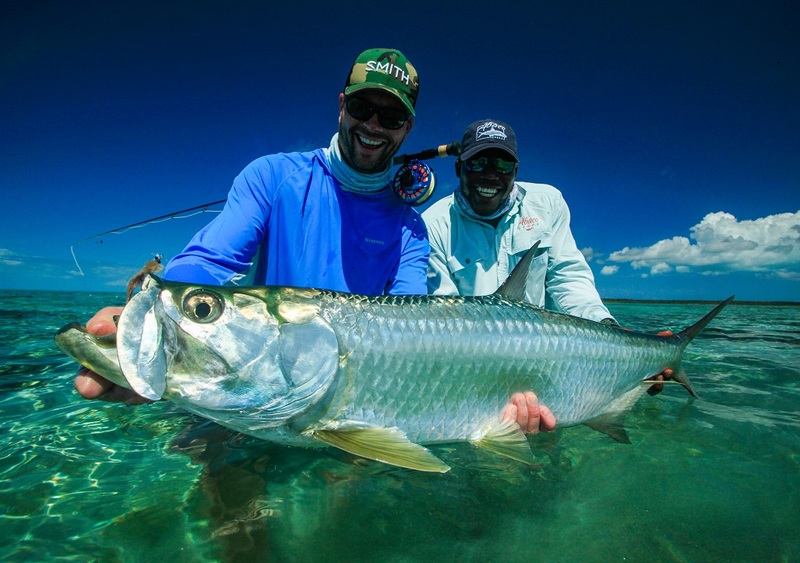 If you’re an experienced angler or just want to figure out what this bonefish/ fly fishing nonsense is all about, these are the trips you want to be on. First up, The Delphi Club. Delphi is arguably the most beautiful and spouse friendly lodge in the Bahamas. Built in an elegant, flowing style, Delphi is akin to a country house party, with all guests dining at the same long table in a massive main room. The wrap around porches overlook the half mile of Atlantic facing private beach – perhaps the greatest view in all of bonefishing (minus a tailing 10 pounder). For fishing, anglers trailer 10 minutes to the world famous Abaco Marls where fish are more abundant than perhaps anywhere in the Bahamas. 30+ fish days are not uncommon and by that time you should head in for a long lunch at Pete’s Pub anyway. Boats are also equipped with barracuda/ shark set ups, if you feel the need (you do). Permit and tarpon shots are also on the table. We are currently hosting a trip to Delphi the week of March 25-31 and April 7-12. We would love for you to join! If Delphi sounds right for you, shoot us an email at hostedtrips@amberjack.com and we’ll get you sorted even if those dates don’t fit your schedule. Next up, Abaco Lodge. This is a hosted trip by our buddy Kyle Schaefer, perhaps the funniest, most fishy striper guide that Maine has ever seen. The dates are February 13-18 and the flights are easy. Kyle is the perfect host. Seriously. He has nothing to do with Amberjack except that I like him and I know any of you would be in the best of hands at a fantastic lodge, and thought you should know about this. Abaco Lodge fishes similar water to Delphi, although I’ve personally never seen another boat in the Marls. Abaco Lodge recorded another renowned feat this fall – a grandslam on the flats – landing a bonefish, tarpon, and permit all in one day. Check, check, and check on the bucket list! The lodge is world class in both lodging and dining, and is managed expertly by Christiaan Pretorius – a young fly fishing hero who is worth the price of entry and his fantastic girlfriend Lindi. 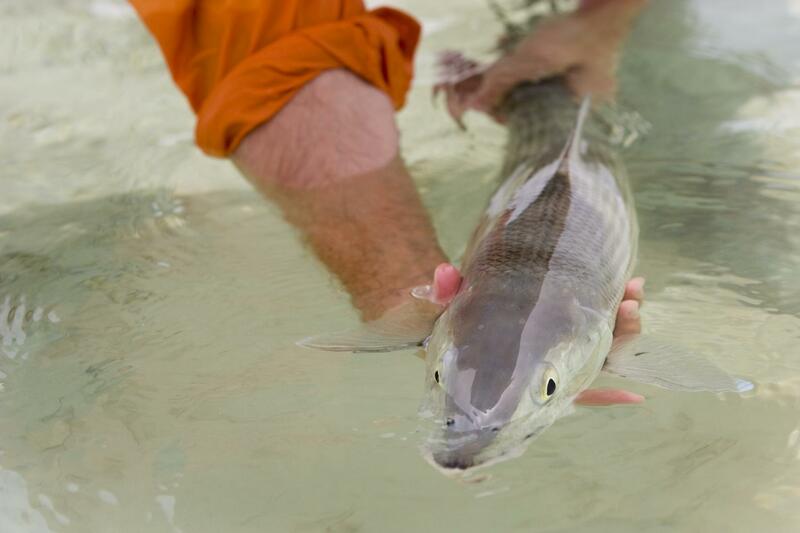 Abaco is known for epic bonefishing but you just may run into other flats phantoms if you play your cards right. Send us an email at hostedtrips@amberjack.com if this sounds like you. Also, here’s a link to Kyle’s website and page for this hosted trip. Last, but definitely not even close to least, is Bair’s Lodge. 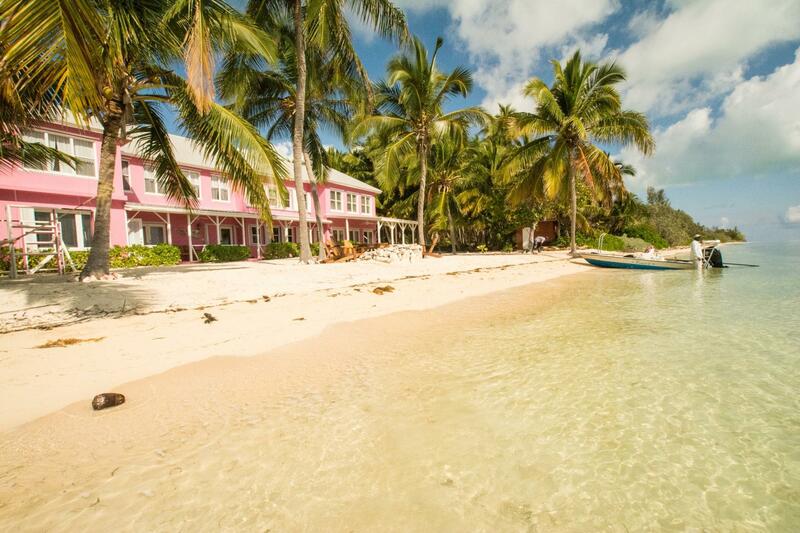 While both Delphi and Abaco Lodge are on the easier-to-get-to island of Abaco, Bair’s is on the fabled island of South Andros. South Andros is known for bigger fish – 7 pounds and up on the regular. 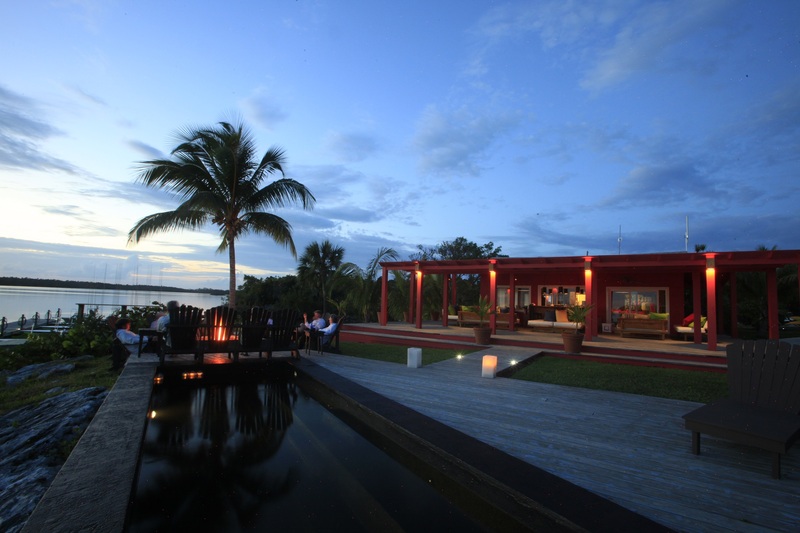 The lodge is naturally beautiful, with easy out front access to the best fishing the Bahamas has to offer. Bair’s is a sort of Mecca for bonefish anglers. Namely, you’re not a real bonefisherman until you’ve been there. At night, anglers are invited to hook 30 pound tarpon in a neighboring channel. Name a better activity after a few rum punches and conch fritters. 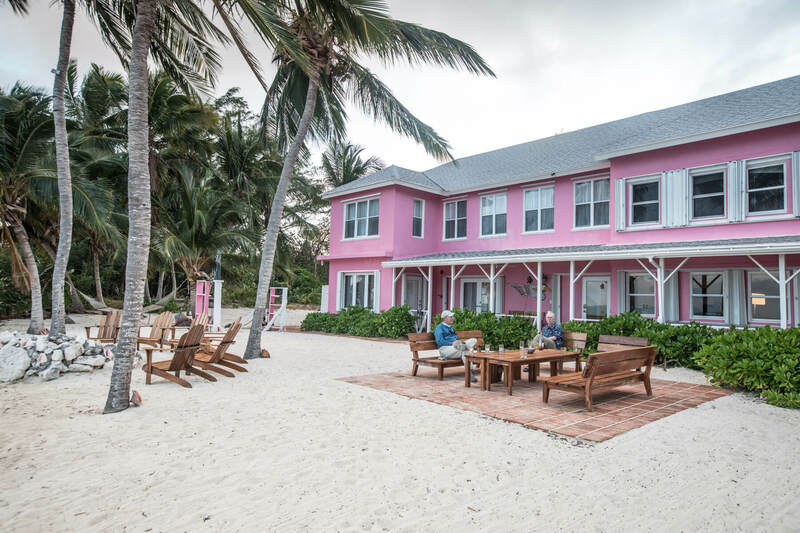 This lodge is expertly managed by our great friends James Hamilton and his girlfriend Liz Ziebarth, who are arguably more entertaining than any bonefish on the end of your line. Dates available are March 14th – 30th and May 1st – 5th. Send us an email at hostedtrips@amberjack.com if this sounds like you. 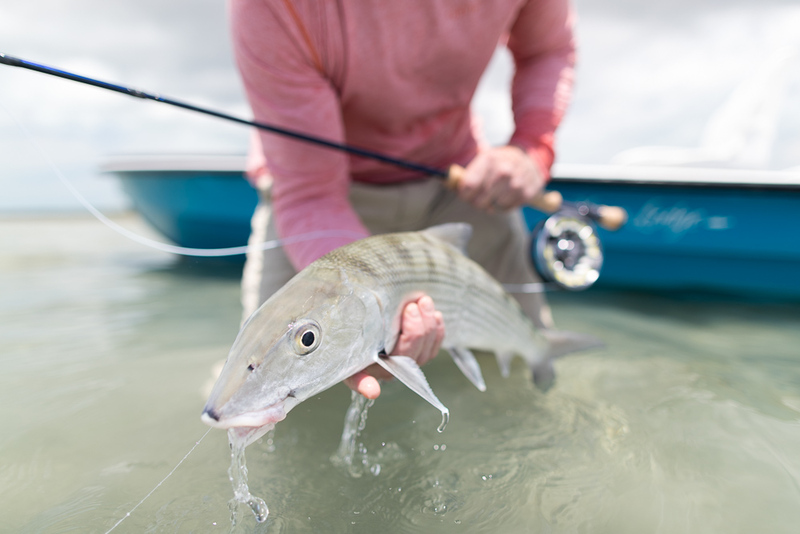 Whether you’re looking for a full week or a few days, we’ve got a few options for anyone looking for a quick bonefish break this season. It is of course worth mentioning that all three of these lodges cost around $4,750 for a week, based on double room occupancy. If you’re a solo angler on a budget, no worries. That’s the very reason we host trips and will match you with a suitable roommate that may become a lifelong fishing buddy (scary as that might seem to Europeans). At the risk of alienating ourselves from the fly fishing booking community, we are in the position to offer not insignificant discounts on all 3 of these trips. Please send us an email at hostedtrips@amberjack.com if you are even remotely interested. Additionally for the budget minded traveler, we have a few trips in mind that won’t break the bank. Shoot us an email at hostedtrips@amberjack.com for info.